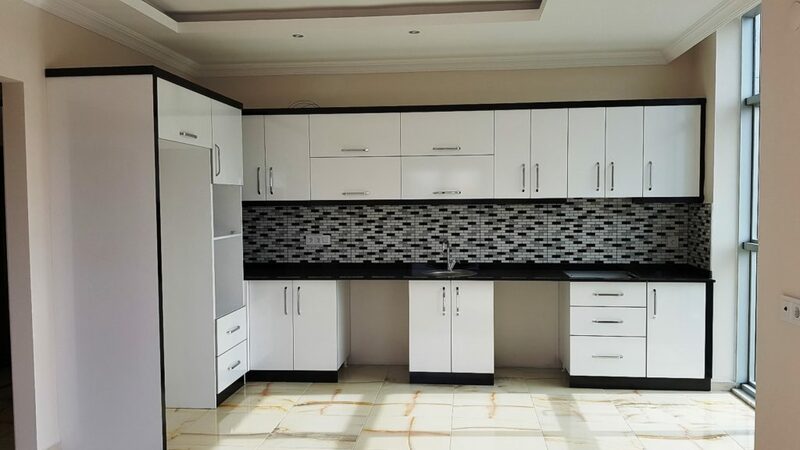 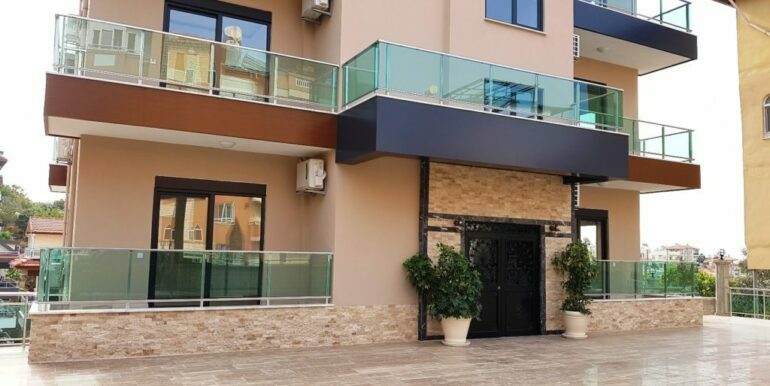 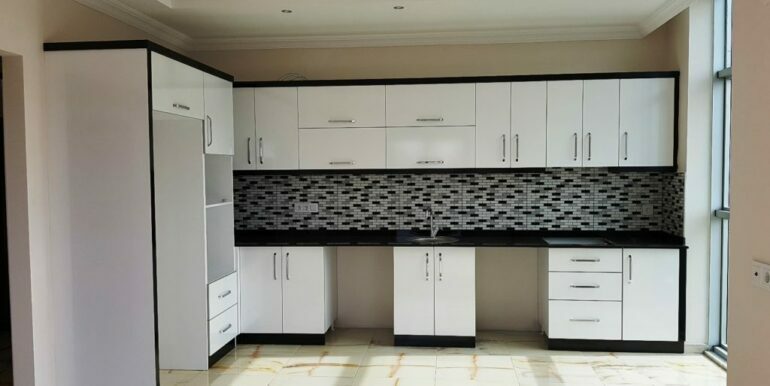 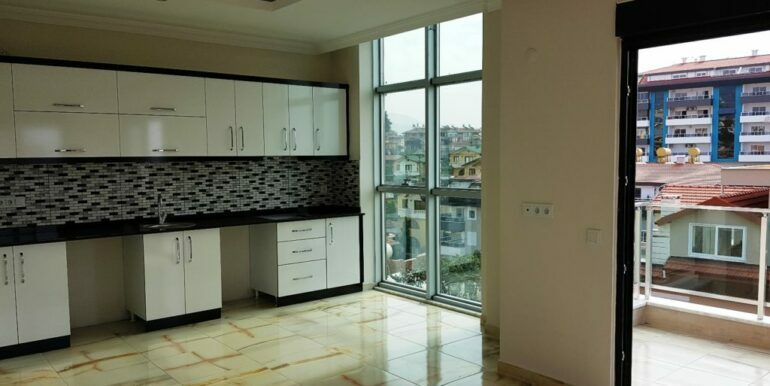 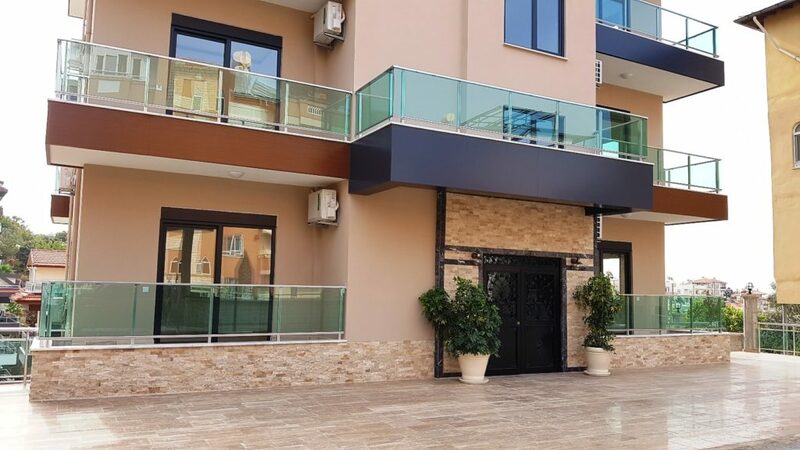 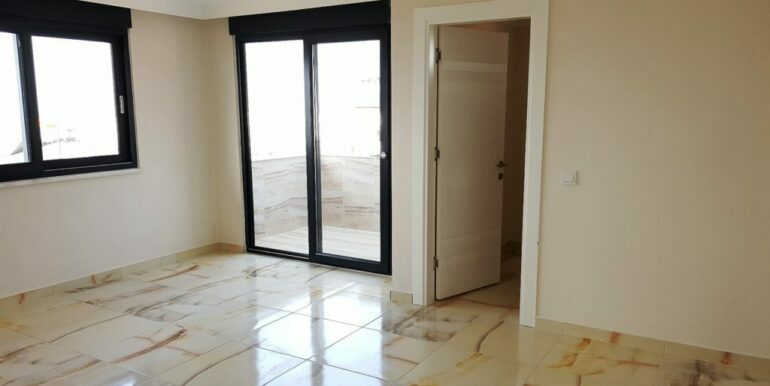 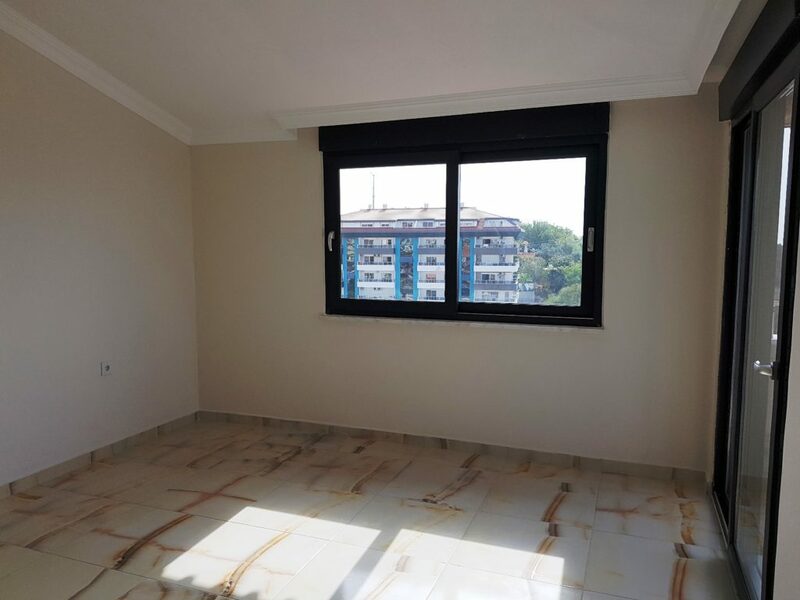 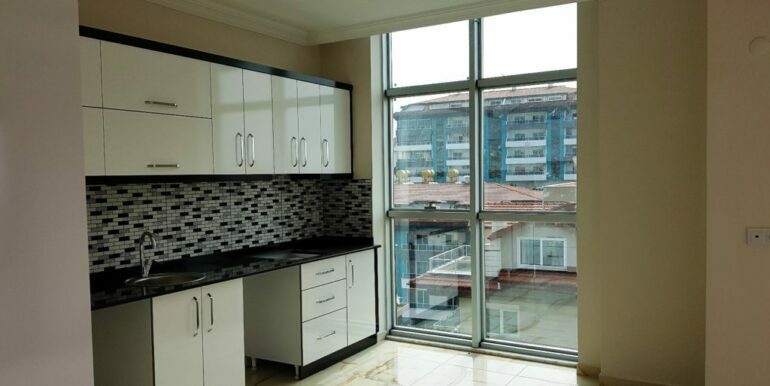 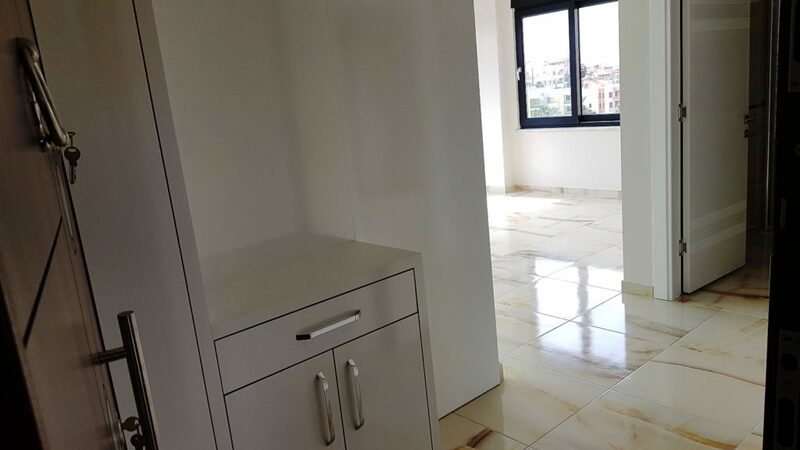 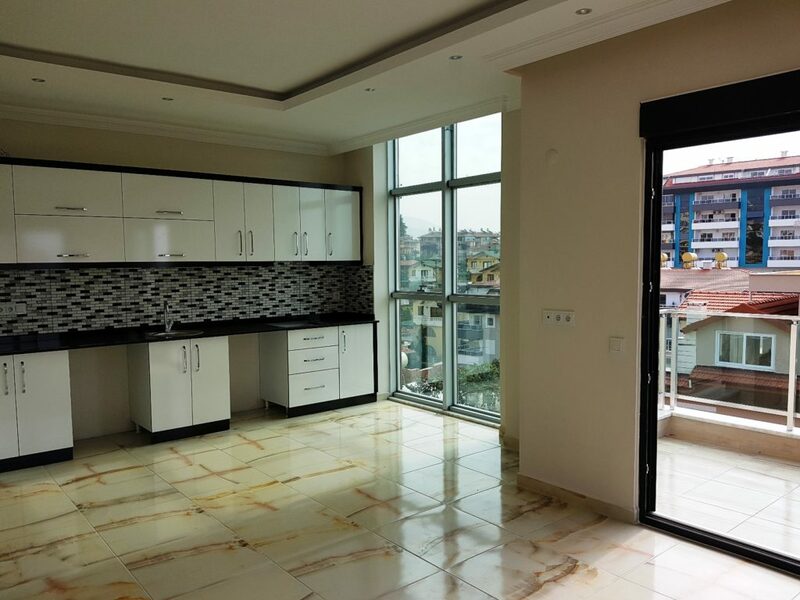 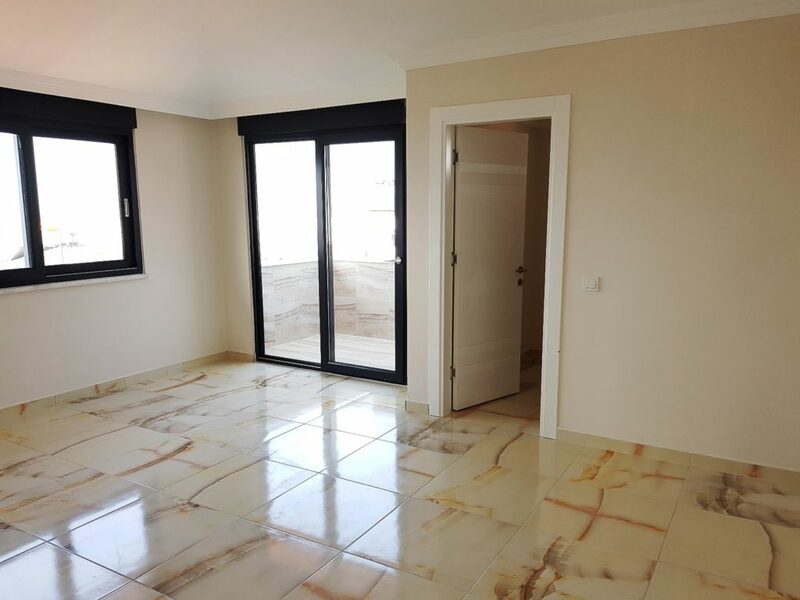 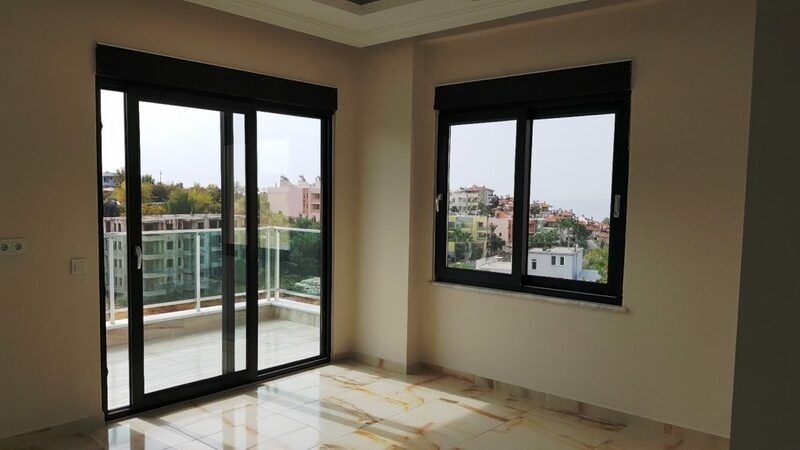 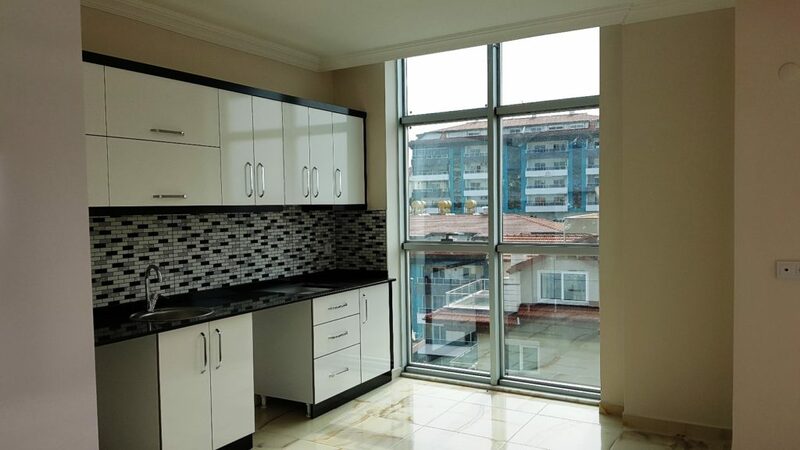 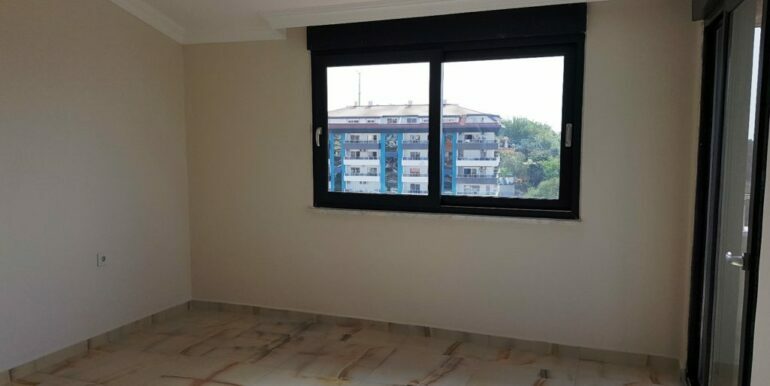 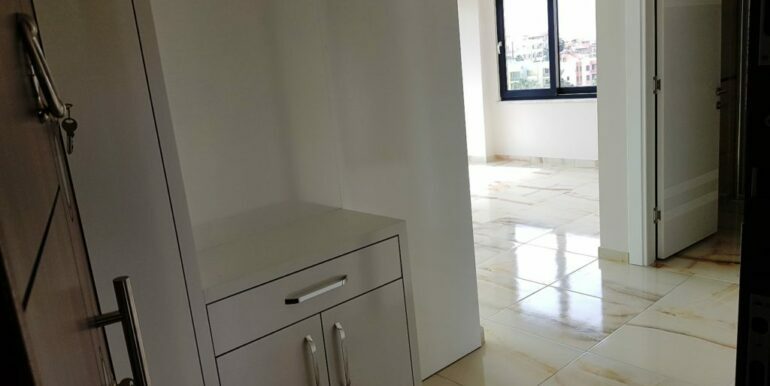 The Penthouse apartment is 190 qm and offers on 2 floors 4 bedrooms, a living room, kitchen, 2 bathrooms, guest-wc and balconies. 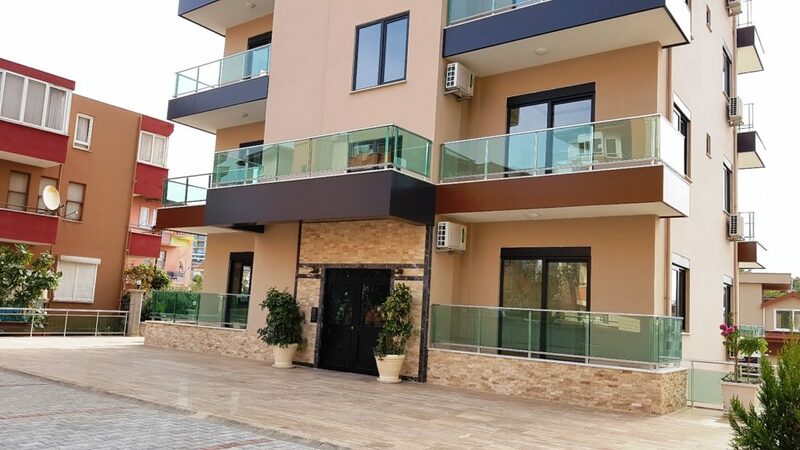 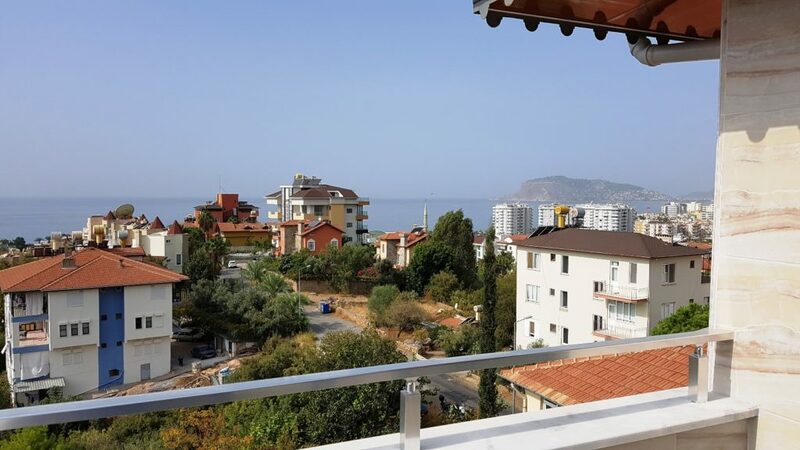 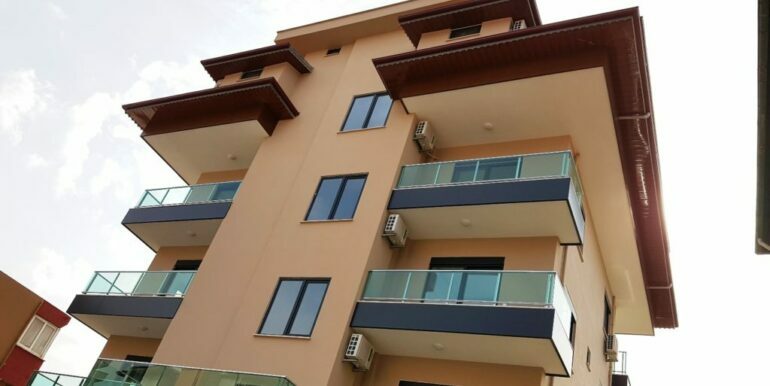 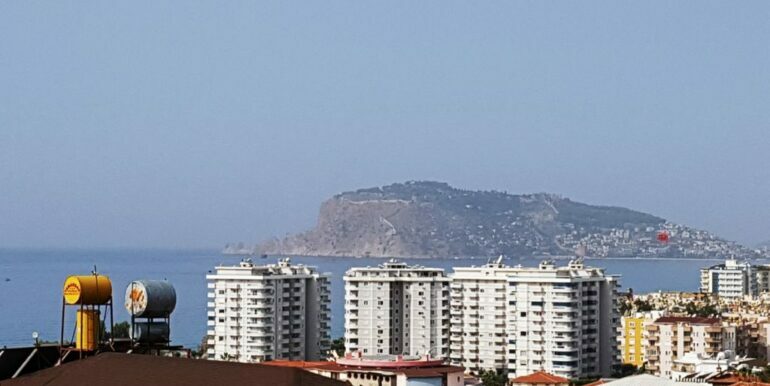 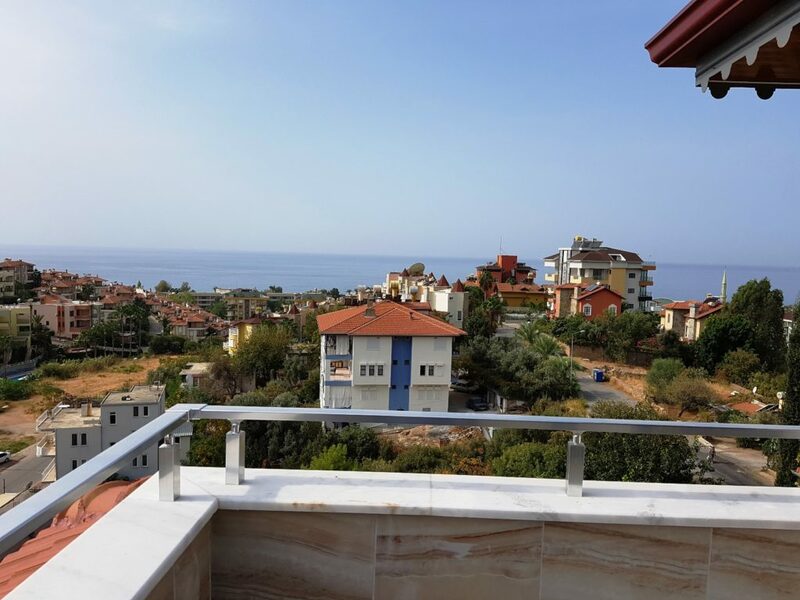 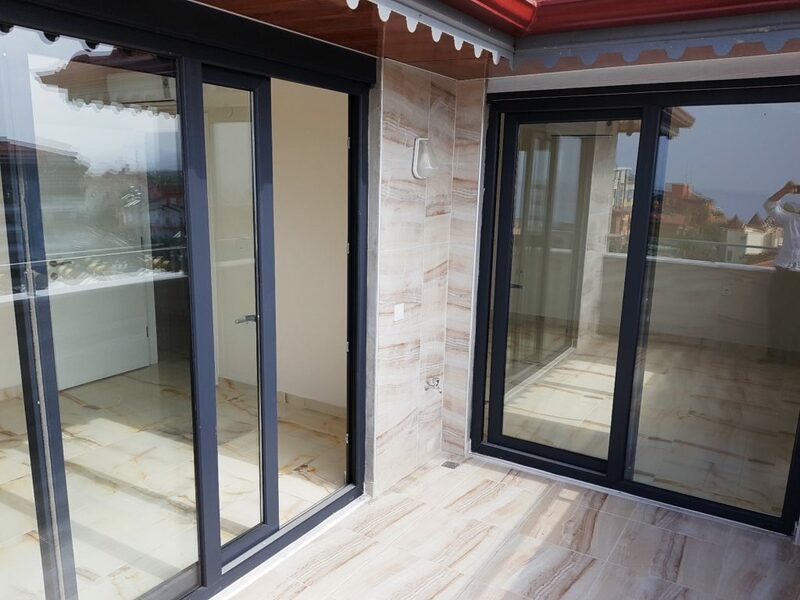 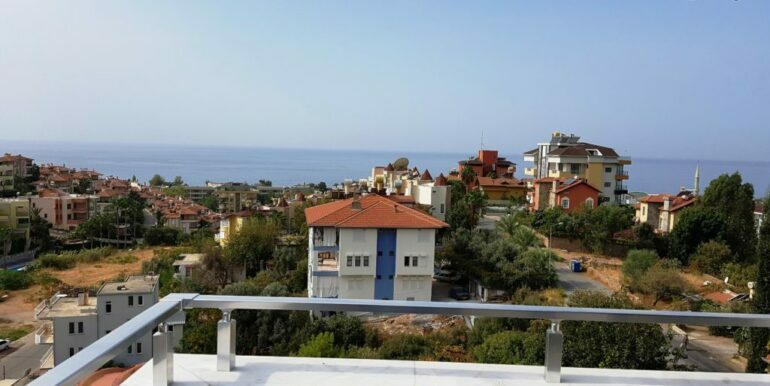 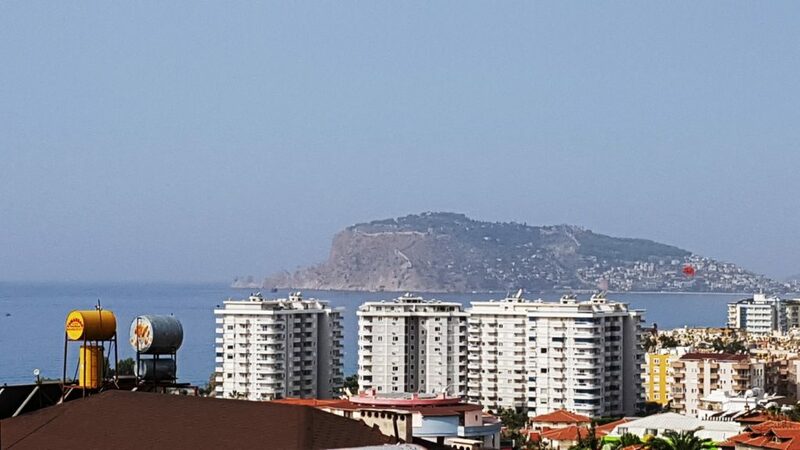 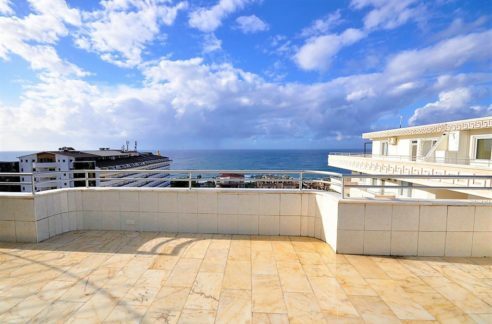 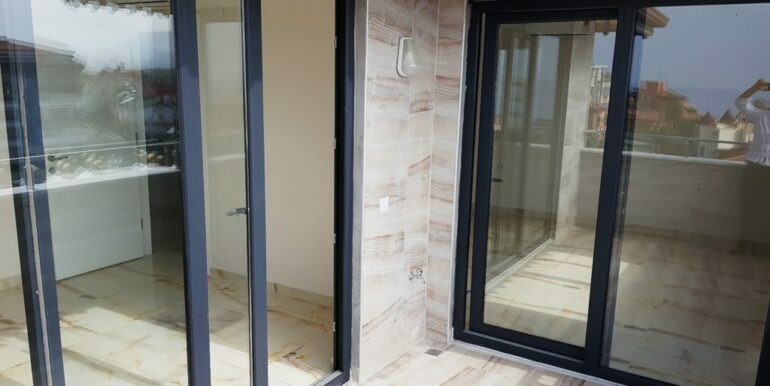 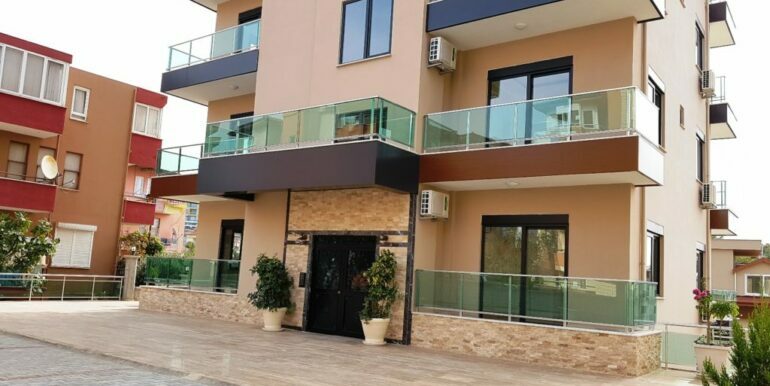 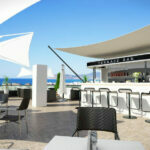 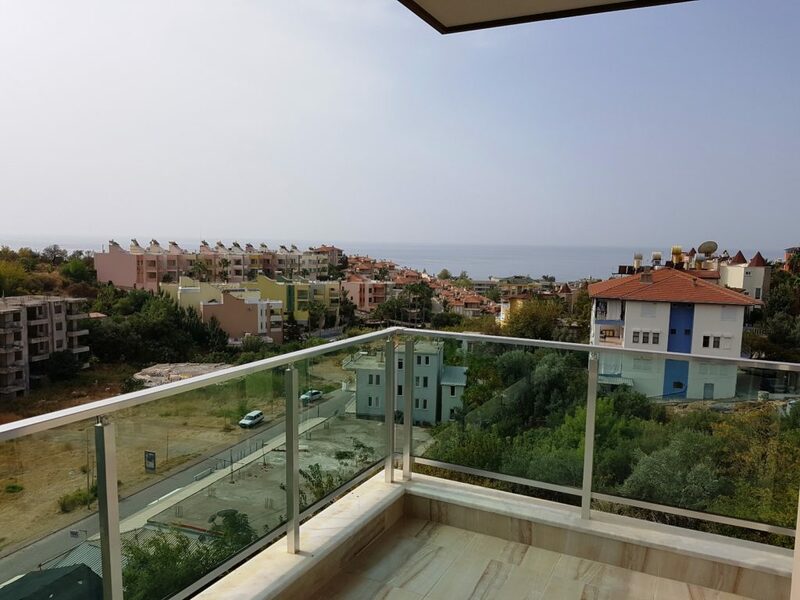 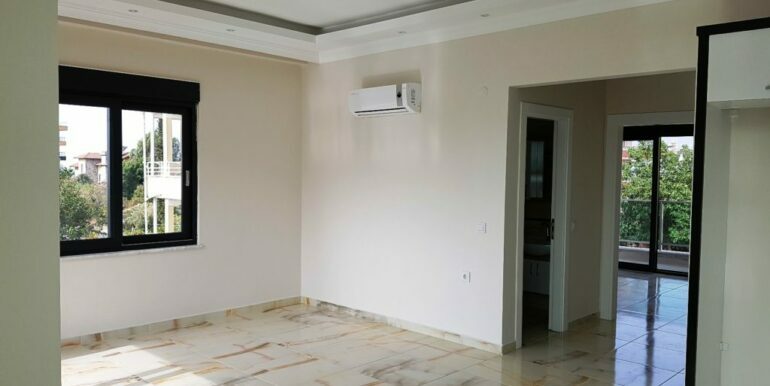 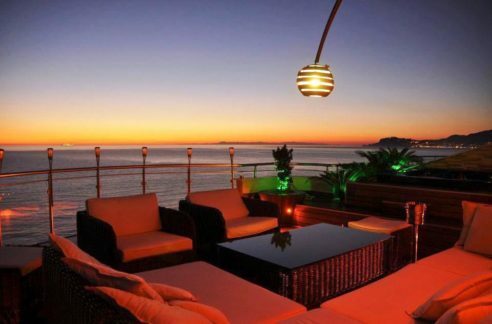 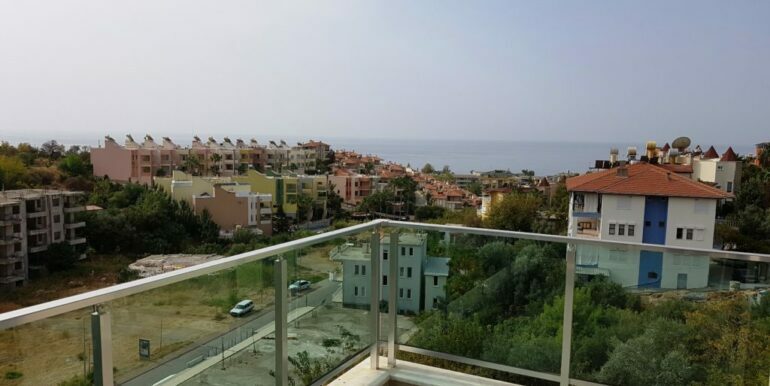 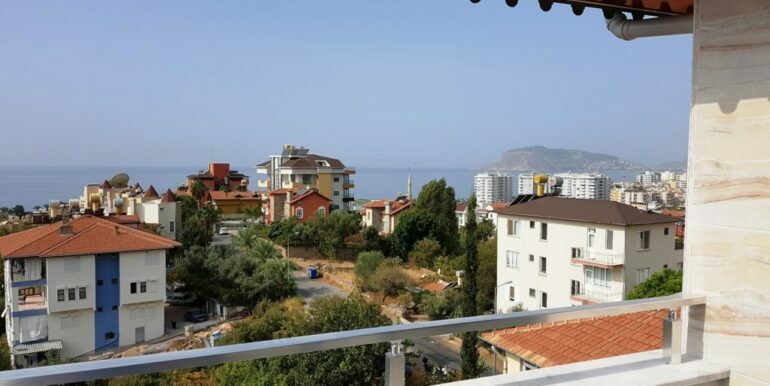 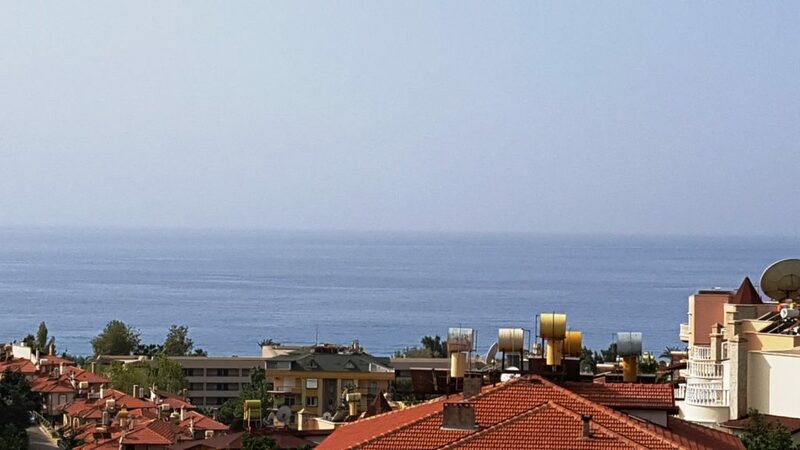 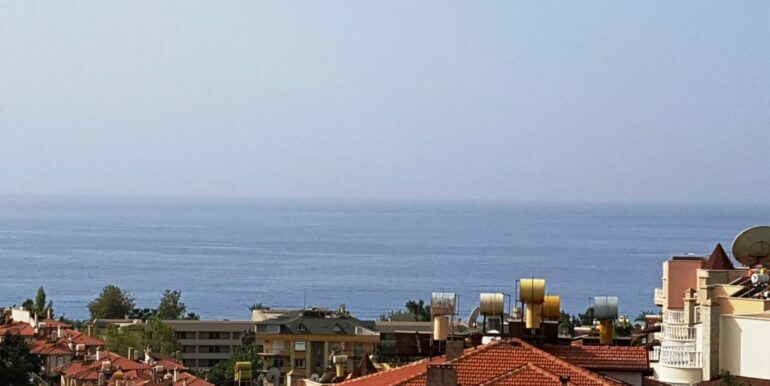 The penthouse flat has a nice views to the sea, Alanya castle and mountains. 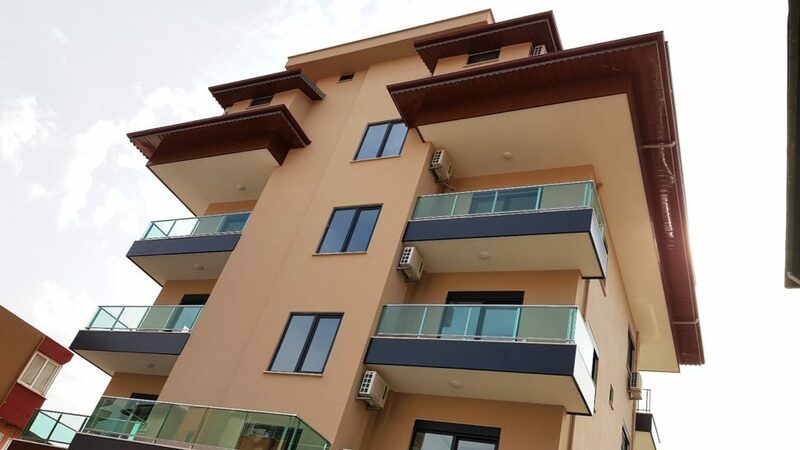 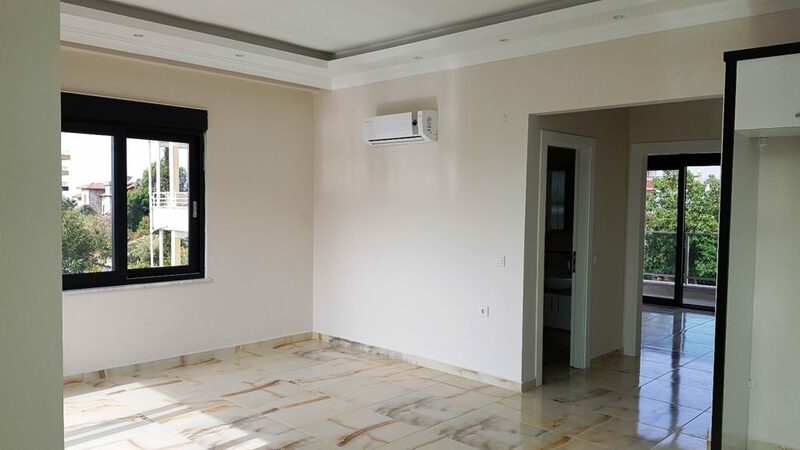 The 4 storey house is recently fully completed and has only 8 units. 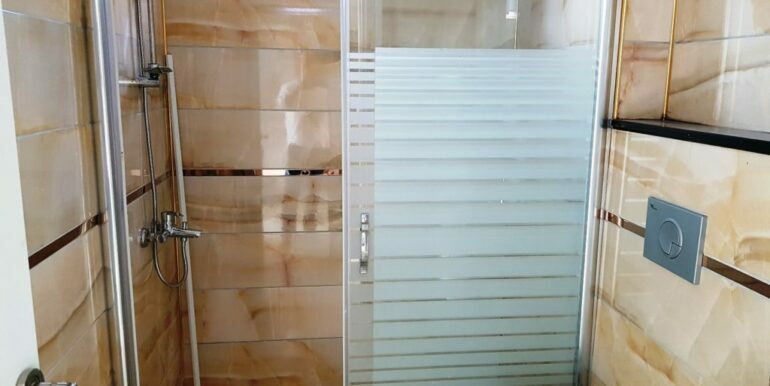 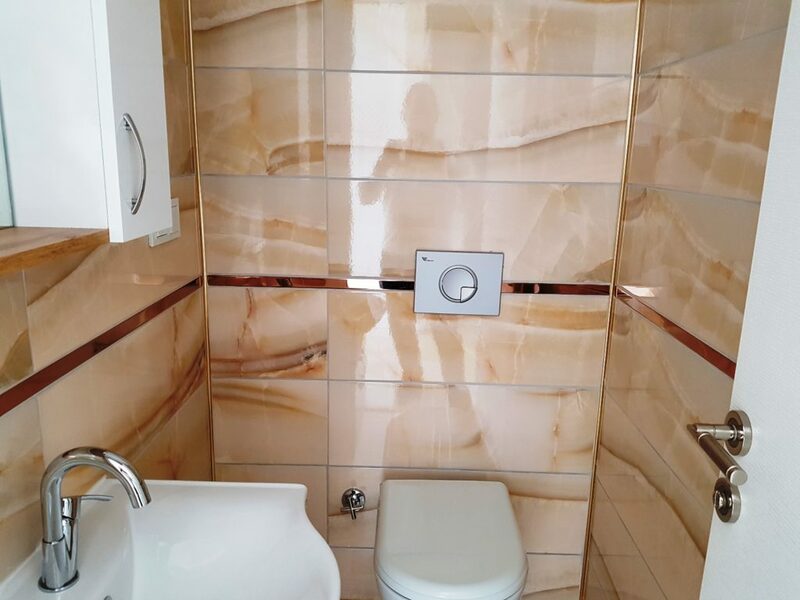 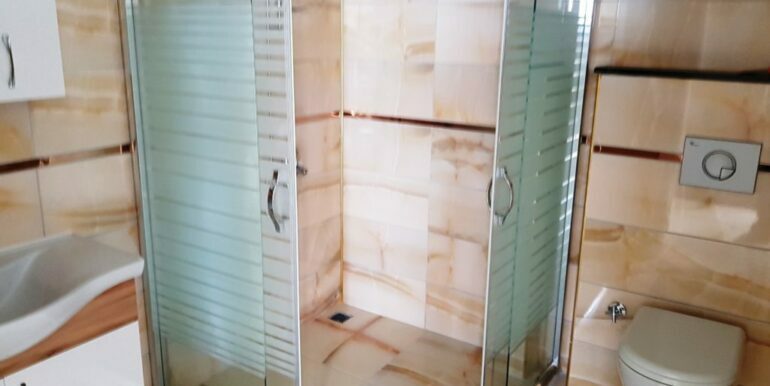 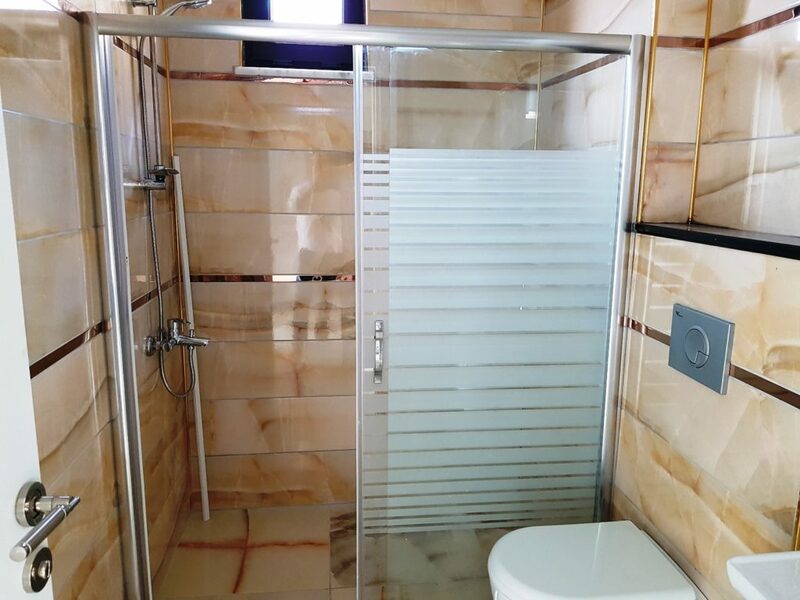 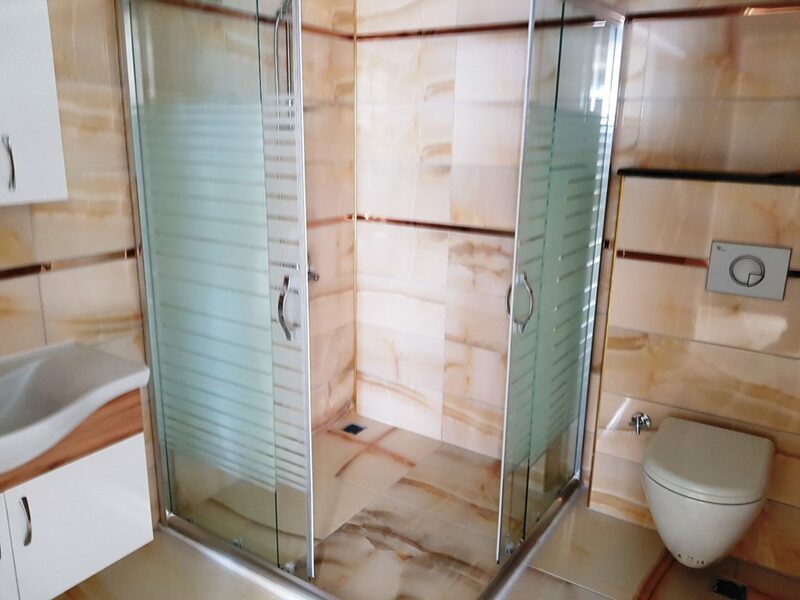 The house has private parking, swimming pool, garden area, elevator and caretaking. 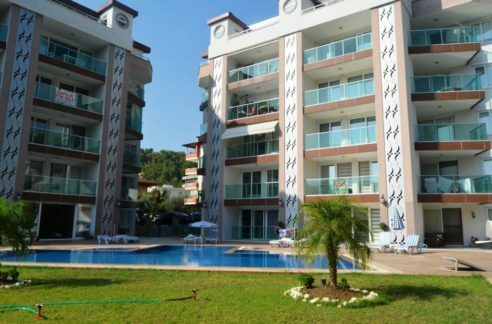 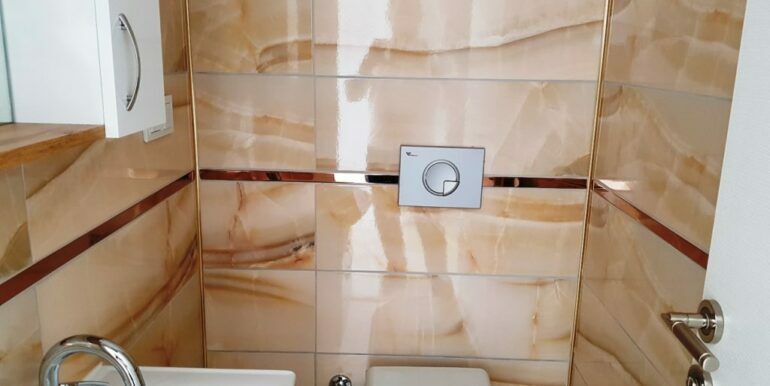 The monthly fee is just 100 lira (about 15 euros).